In a previous post a few days ago, I was showing t you how to simulate a glued contact between 2 solids. I realised that there were few nuances that I didn’t describe in that video when you needed to make a contact between a solid and a plate so I made another video to complete it. 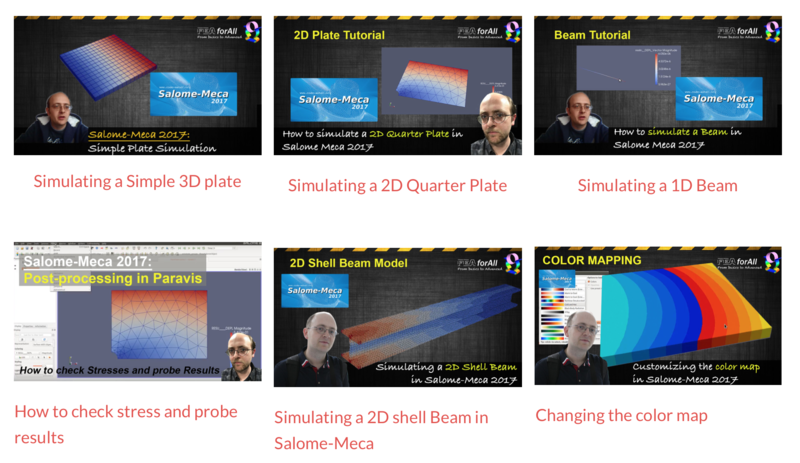 After watching this video, I want you to have a full understanding about how to simulate a multi-part system in Salome-Meca with glued contacts. If something is still unclear (as many things actually are), please leave a comment and let me know, I’ll talk about it in a next video! Great video, thank you for the educational material! It would be great if you could post a steel forming example with contact modeling and large deformations and strains. In your videos, you always use 1 material. With your video, and after following that, I always test 2 materials with 3 components. But every time, I only see red signal. Pls post 2 materials with muti components. Yes, I will, thanks for the message. Ok, it was a problem of meshing… Solved. I followed your YouTube steps. It all works well but gives me the following error message. Is there any change in contact setup? L’angle formé par le vecteur normal courant à une face et le vecteur normal moyen, au noeud N541, est supérieur a 10 degrés et vaut .18E+03 degrés. This is probably due to your local chinese language. I remember there is a problem due to the calendar of your system having chinese characters in it… this is not supported by Salome-Meca. Try to change your local language to english and make sure the days and months in your system calendar are in english and try to run salome-meca again to see if that corrects the problem. Thanks for your reply! It helped a lot! How to face a singularity error? 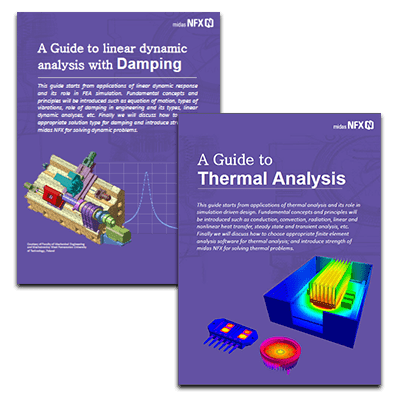 CAD formats: Which one is the best for CAE?